We got ourselves a mouser! 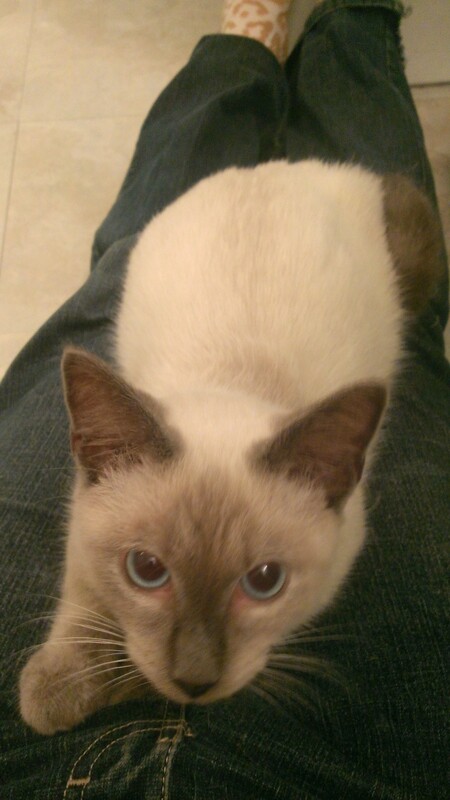 A rescue cat who is beautiful and a little bit skittish and a blue point Siamese. His name is Jacks and he’s a year and a half old. ❤ He was super sweet at the pound and on the ride home but then he freaked out a little (a lot) when we got home and it was time to get him out of the car. It didn’t go well and we almost lost him when he bolted. But we got him back and now that he’s inside in a stable environment he is super sweet once again, purring with abandon. My hand, on the other hand, is a little worse for the wear. Poor kitty. Since he’s a rescue kitty we have to keep him quarantined for a few days so we don’t know if he’ll get along with Lucy-dog. Or how Lucy will get along with him. They are about the same size (Lucy weighs more, of course) so we’ll see. Lucy does take on bigger dogs is to protect her family so maybe she’ll be okay with a cat. Writing is going. I seem to get a lot done at the studio while my daughter’s in dance but not so much the rest of the time. 🙂 I think once things get back to a semi-normal schedule that will change. If there is such a thing as a normal schedule. 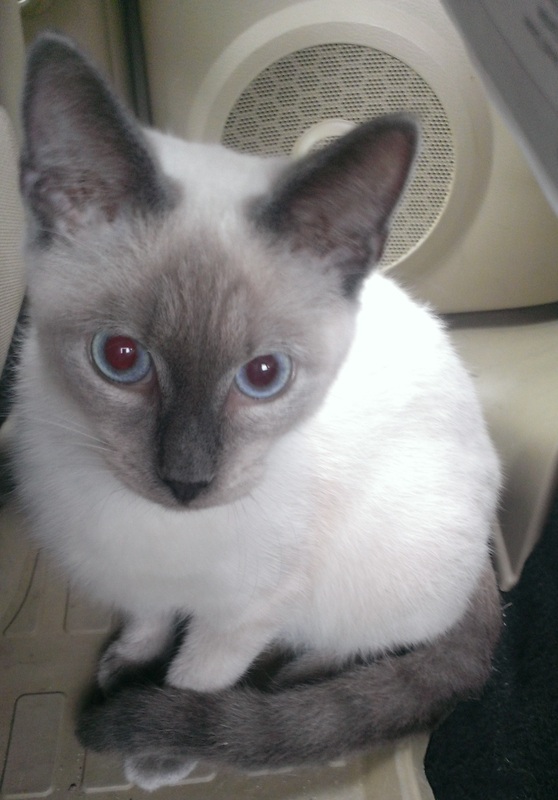 This entry was posted in Uncategorized and tagged blue point siamese.